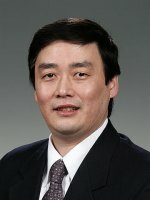 Congratulations to Dr. Keqi Tang, Pacific Northwest National Laboratory scientist, on earning a 2011 Outstanding Mentor Award. This award honors Department of Energy Office of Science laboratory staff who have substantially contributed to the practical education of the nation's future scientists. Tang, who has been at PNNL since 2000, develops technologies and methods for high-performance hybrid mass spectrometry and its applications in chemical and biological analyses. He holds 12 U.S. patents, and has authored or co-authored more than 50 scientific publications. 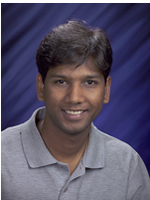 Dr. Anuj Shah, a scientist at PNNL from 2004 to 2011, also received the award. He was nominated by Aaron Robinson, a SULI participant from High Point University, North Carolina, who worked on informatics approaches to ion mobility spectrometry-based proteomics during his internship at PNNL. Robinson describes Shah as "the best of the best mentors" for encouraging Robinson to grow his presentation and writing abilities and attend team-building activities to build professional relationships and form valuable connections.